Johannesburg’s vibrant, distinctive culture, and rapid inner-city renewal, has fast dispelled the myth that only its airport is worthy of a visit, en route to the Mother City where it’s all happening. 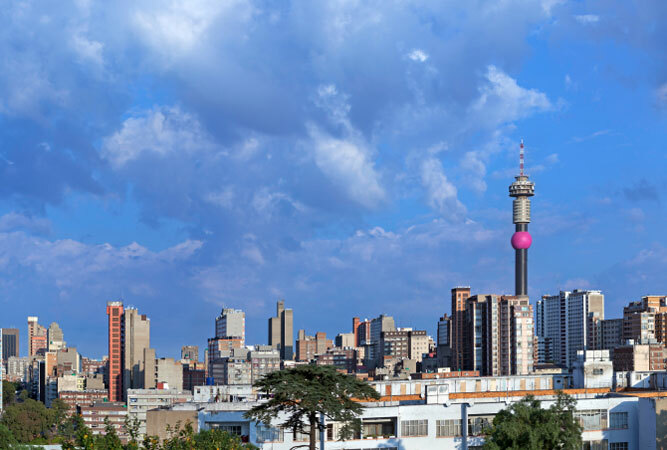 Johannesburg has undergone a rebirth in the last five years and its city, despite the wealth divide and the obvious poverty and crime, is one with stories to tell if you’re able to listen. Jo’burg’s open-top Red City Tour is an obvious place to start. The tour, with commentary in 15 languages, explores the major highlights of Johannesburg and Soweto (if you combine the Red City and Soweto tours – well worth it, particularly if you’re pressed for time). You’ll get to see obvious attractions like The Apartheid Museum, Constitution Hill, Origins Centre and Newtown. Gold Reef City (a highlight I would avoid, although at the moment it’s where one connects to the Soweto tour) is about to fall off the map due to a route change. 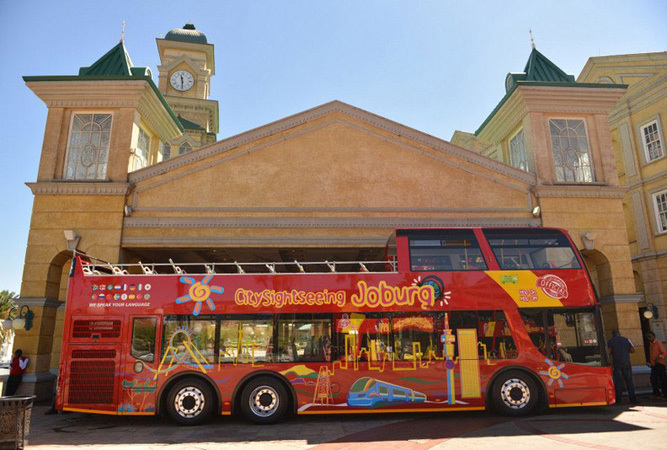 Hop on a bus at Gautrain Park Station (if you’re connecting via the Gautrain) or Constitution Hill (where you qualify for free parking), but otherwise you can catch it at any of the stops. Do your research and decide ahead of time which of the 12 stops you most want to visit. 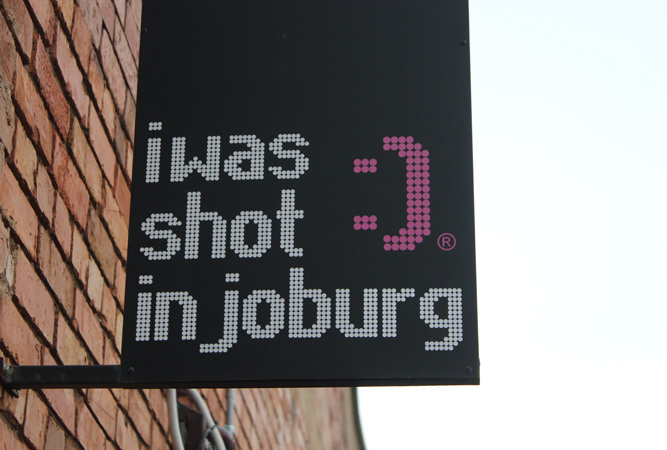 This is still on my list of must do’s in Jo’burg. Walking Johannesburg’s inner-city is something new. It’s both exhilarating and fascinating, and doing it with Past Experiences gives you access to a number of really interesting themed tours – anything from graffiti through art buildings to a tour of spicy Fordsburg. They also offer a Soweto walking tour, which you could do as an alternative to the hop-on-hop-off bus version. The tours average two hours. Check their website for schedules. Conversely, take the free walking tours (by the same company as the hop-on-hop-off buses), which leave the Gautrain Park Station office and take in either the historical city centre (10h30 or 13h00) or Braamfontein (15h30), and last a couple of hours each. Melville is a real university suburb (academics, creatives and students live here) with a slightly grungy, bohemian atmosphere. Its streets are lined with a series of quirky boutiques, antique shops, book stores, artists studios, and a great selection of restaurants, bistros and coffee holes. You’re spoilt for choice for lunch. Only 10 minutes’ drive away is Wits Art Museum, in Jorrison Street – a recent addition to the Jo’burg art scene (2012) with an unbelievable collection of African art, constantly changing exhibitions, and a wonderful permanent collection. Download In Your Pocket’s phone App (IOS and Android) for your choice of club, restaurant, theatre or bar district. And you might want to make use of Uber as your means of transport as getting around the city, particularly after dark, can get a little tricky (you need to know your way around). 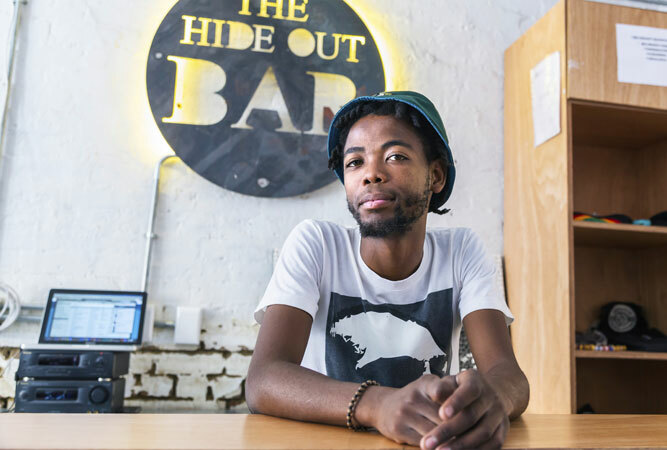 The most popular night spots in Johannesburg are: Braamfontein, Maboneng (but give this a skip as it’s on your Sunday morning itinerary), Sandton, Melville, Milpark, Rosebank, Melrose, Greenside and the Parks. Maboneng’s weekly Sunday market – Market on Main – is packed to jammed in an old parking garage. Some of the city’s best choices of artisanal food and craft beer is available here, and it’s a great spot at which to do breakfast. Open between 10h00 and 15h00. But whilst you’re in the precinct, stay to explore Arts on Main (a gallery and workshop space that has as its anchor tenant, William Kentridge), the plant-filled rooftop café called Living Room (great views over the city) and MOAD (yet another art gallery, this time the Museum of African Design). If you’re up for another inner-city tour, then this immersive experience through Ponte City, Hillbrow and the surrounding areas is exciting stuff. Dlale Nje operates out of a community centre at the base of the cylindrical icon of the Ponte building. Hit the streets of Hillbrow and find out the truth about the city’s most ‘misunderstood’ neighbourhood. Do the night tour to include Cameroonian and Congolese food and a sundowner on the 52nd floor with incredible views over the city. The house in which Mahatma Gandhi lived for a year is now a museum and a guest house. It is said that whilst staying here with his friend Hermann Kallenbach, the architect who designed the house, he devoted himself to his philosophy of passive resistance and nonviolent civil disobedience, also known as satyagraha. The exhibits include photos, correspondence and inspirational quotes. The garden is beautiful. Phone ahead to make sure they’re open as they advertise their closing time as 16h00. 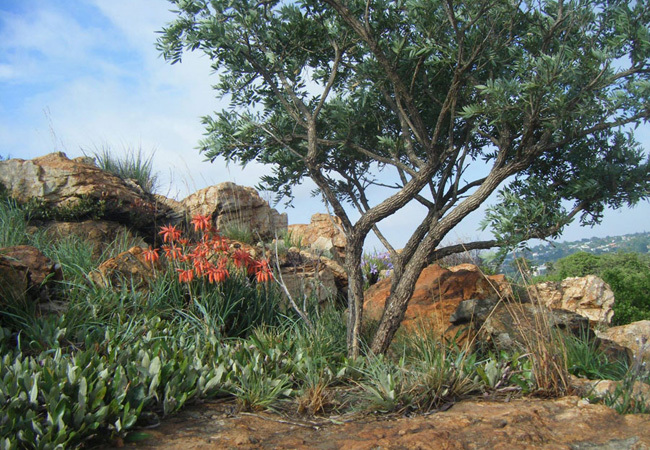 This beautiful nature reserve is a perfect space for down time and a picnic in the great outdoors, whilst watching Verreaux’s eagles from the base of the waterfall. Guided walks, and meanders through the gardens, the shady gardens are popular with locals and it isn’t difficult to understand why. 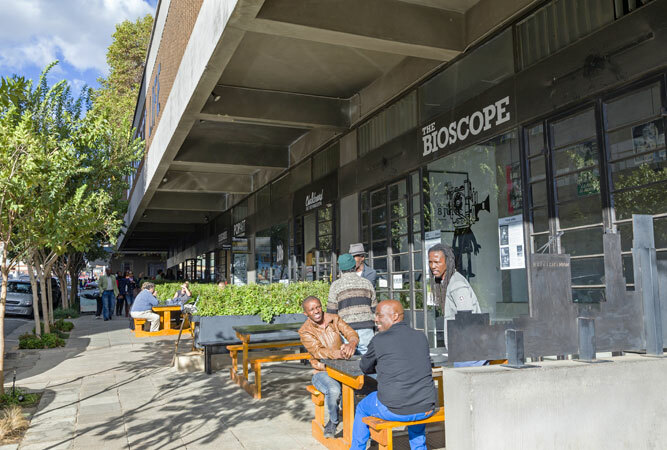 For a quieter evening, head back to Maboneng and The Bioscope. Combo tickets include a pizza and a beer. Visit their website for details.